Starting a week of adventures, discovery or farniente during your stay with our AQUA GYM class. The best way to stay in shape but with fun too!! 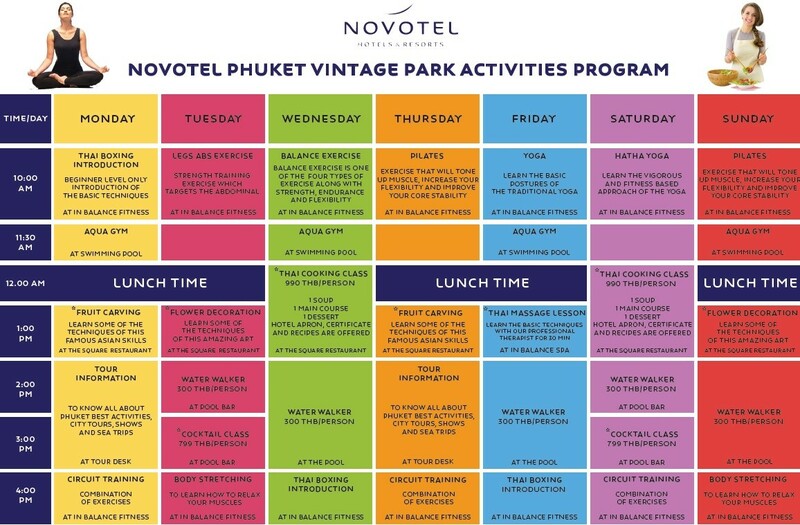 At Novotel Phuket Vintage Park we make sure that every moments you spend with us is the one of the best memories you will keep from Phuket. Activities are part of the hotel life and there is some for everyone ! !